Three important goals for sustainable gardening are to have diversity, grow native plants and include as many plants as possible to sustain your local wildlife. Let’s consider bees. The honey bee has received so much press lately; we share an almost archetypal image of Winnie the Pooh licking the honey pot. I do love my honey and only buy it from local vendors at the farmer’s market and have been concerned about the loss of huge colonies of honeybees. Meanwhile there are native bees that in many commercial orchards are doing the job of pollinating very nicely. These wonderful beefolk NEED NATIVE FLOWERS, which we will address this week; but, today let’s just make a bamboo bee house. It is very easily made, the toughest step is cutting the 6”- 8” lengths of bamboo, while keeping intact the sealed off section just below each joint. This provides a cozy nest for the eggs and baby bees and the beemom has only one end to plug up to keep out other critters, rain, snow etc. Another important step is to gently sand the cut edge to remove all tiny splinters, which bee moms don’t like being poked with. 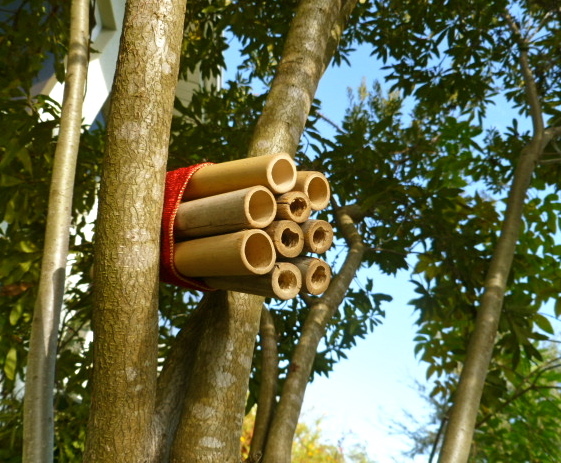 Install the bundled bee house in a southern facing tree branch; set it at a slight downward angle to protect against rain or snow and not more than four to five feet from the ground. I put this one in a wax myrtle tree. 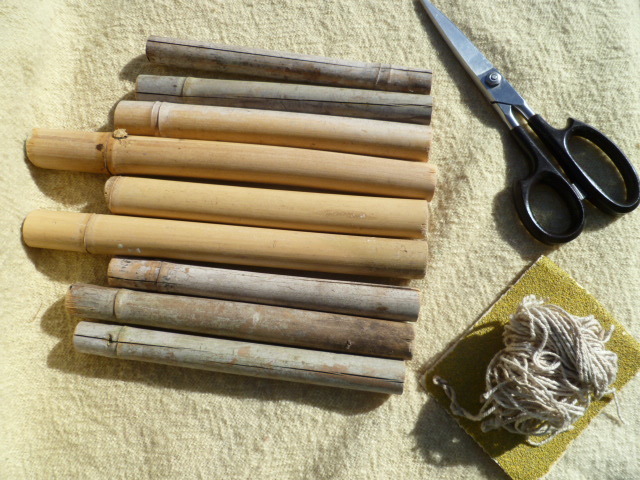 To offer some feng shui power to the project, I bundled nine bamboo canes because it is an auspicious number which I felt could offer a nice prayer of abundance for all the bees in the garden. In honor and gratitude of your garden’s abundance the seed heads are left alone to fall on the ground for food, until the seeds are gathered to be carefully stored until spring and to be added to the birdfeed jar for winter food. Remembering with gratitude and deep appreciation, Masanobu Fukuoka, a Japanese sustainable farmer, who taught the world how to make seed balls in his book, The One-Straw Revolution: An Introduction to Natural Farming. 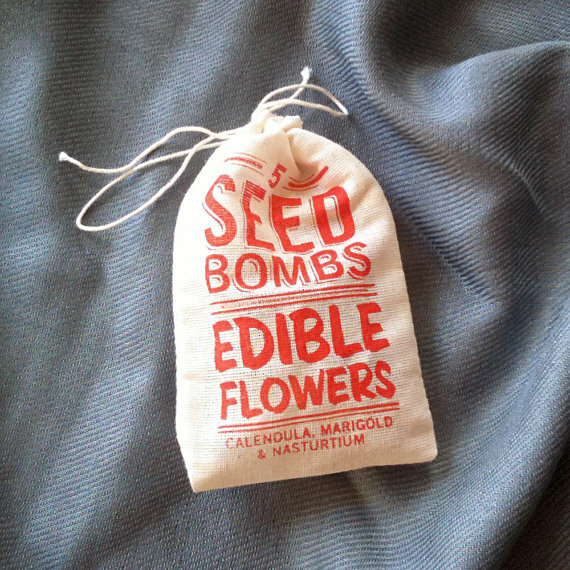 To read more see You Tube’s Seed Ball Story or purchase seed balls online at Etsy.